Life is not meant to be navigated alone. Ecclesiastes 4:9-10 speaks of the importance of friendship. International students need Christian friends, but we all seem to be so busy! Perhaps the idea of taking time to befriend an international student seems unrealistic for you. However, there are many ways to build friendships that do not require much time. Rich Mendola, IFI’s Executive Director, who is a very busy man, is passionate about befriending international students. Rich offers these busy-person-friendly suggestions for building friendships with international students. Use social media. Rich uses texting or voicemail formats such as Wechat or WhatsApp to stay connected and build relationships with the international students in his life. Do errands together. Involve international students in your everyday schedule, from errands to events. For example, invite students to go grocery shopping with you. Many international students do not have a car, so a ride to the grocery store meets a practical need for them, allows you to get your shopping done, and provides opportunities for conversation while you shop together. If you take them to ethnic grocery stores, ask them to tell you how to cook some of the foods you find there and teach you how to prepare one or two of the student’s favorite dishes. If you both need to exercise, go to the gym or take a walk together. Eat lunch together. Often international students do not have time to go home for lunch. They are very busy too! Meeting up for even a short lunch break is another opportunity to build relationships with students and remain connected. If the students pack their lunch, pack yours, too. Use email. In an email, tell students what God has been showing you in your personal time with Him. This is not preaching; it’s inviting international students into your life with God. Rich does this weekly. At first, he thought some students might not read his emails, but many have told him that his emails have been meaningful to them. Send a postcard. When a student who’d moved away received a postcard from one of his friends in Columbus, he was stunned! He said, “I didn’t know people sent postcards anymore. And I didn’t know how to read your writing.” (The message was in cursive.) He was pleased when he “deciphered” the message and was touched that his friend had taken the time to write. Stay up late! Students tend to be late-night people and are often available around 9 or 10 pm. If you are also a late-night person, consider spending this time with international students, either by phone or in person. Understandably, this may not be possible for everyone! Any personal communication, whether a text message or a handwritten note, is appreciated. It says, “I did this just for you.” It also says that the relationship is important enough that you thought of them and took the time to send your thoughts. Any meeting, whether it’s a two-hour talk over tea, a 30-minute lunch break, or a quick walk around the block, says you care enough to take some time just for your friend. 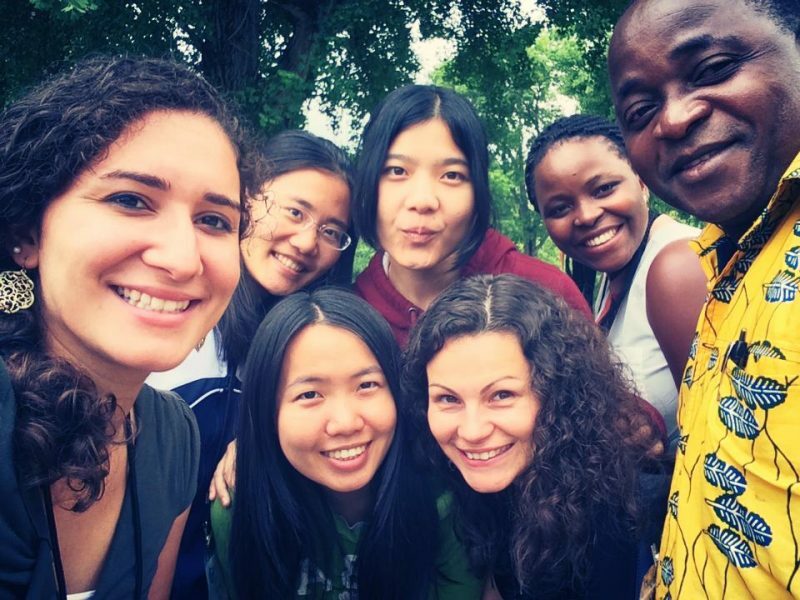 Your friendships with international students does not have to end when they go home. There are ways to stay in touch, even if you are oceans apart. Rich offers some practical ways to serve your international friends after they go home. Schedule a weekly meeting via Skype or Wechat. Send out a weekly email, sharing what God has been teaching you. Send updates about people they know and the Bible study group they were involved in. If possible and as appropriate, consider visiting your international friend in their home country.